Kentucky takes a back seat to Tennessee in the SEC as Volunteers are the top NCAA Basketball team in the nation early in 2019. Written by College Basketball Expert Analyst Greg Nelson. Charliessports.com produces it for Basketball Betting. NCAA Basketball Point Spread Picks are the best in the industry and will continue through the March Madness Finals in April of 2019. 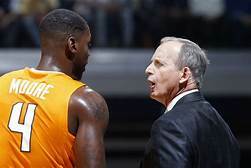 Sixty-four-year-old Rick Barnes still has a youthful look after successful stints at Providence, Clemson, Texas and now he’s taken the University of Tennessee basketball program to new heights. Hickory, North Carolina native, has the Volunteers on top in College Basketball for the first time since February of 2008 in the Tobias Harris era. Fans in the football-crazed state are now enthusiastic about showing up at Thompson–Boling Arena to root on a team that lost to Kentucky in the 2018 SEC Conference tournament. However, they still received a March Madness invitation as the number-three seed in the South Region but were outed in the second round by the cinderella Loyola Chicago Ramblers. Barnes says the players deserve all the credit for the turnaround, but it’s not the first times he’s turned around a College Basketball program. Rick Barnes notoriety began in 1989-90 when he led Providence to consecutive March Madness appearances led by 2,000 point scorer Eric Murdock. After a few mediocre years of NIT invitations, they got back to the Big Dance in 1994 also leading the Friars to their first Big East Conference Championship the same season. In four years at Clemson Barnes became the first coach in school history to take the Tigers to the NCAA Tournament three consecutive years and in his tenure, they were ranked as high as number two in the country. Barnes then took over for Tom Penders at the University of Texas from 1998–2015 which was his longest tenure and began to attract five-star recruits to Austin. Kevin Durant, Tristan Thompson, Avery Bradley, D. J. Augustin, and Cory Joseph to name a few who have gone of to have stellar NBA careers. The 2002-03 team made it to the Final Four, a direction which is where his current Tennessee team is heading. Barnes not only know the coaching aspect but has an incredible way to lure players to his program, whatever the situation and the University of Tennessee could only find a football coach to have the same ability all would be great in Knoxville. Tennessee has just one loss on their resume’ and 87-81 loss to Kansas which was in overtime back on November 23, 2018. 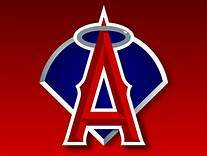 The Volunteers have 9-6-1 record ATS going OVER the total nine times while staying UNDER seven with a push. Six top scorers for the team that lost in the second round to Loyola/Chicago return which brings a bevy of experience to the current roster. Junior forward Grant Williams 18.9 points per game is the Volunteers leading scorer with guard Admiral Schofield (17.4) ppg is second. The only other time Tennessee was ranked in the top spot, they lost the next game which was to Vanderbilt, and that’s who they play Wednesday. January 23, 2019. Tennessee still has two SEC Conference games against the mighty Kentucky Wildcats. Free Pick. Take Tennessee at +750 to win the 2019 SEC Tournament. Also Play Online Poker Plus Other Casino Games and enter some of the best Tournaments on the World Wide Web. Timberwolves are looking to get back on track tonight at home against Spurs on ESPN after a 42 point road loss. 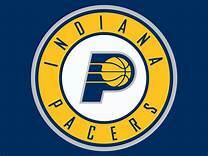 Written by NBA Expert ATS Analyst Greg Nelson. Charliessports.com produces it for Basketball Betting. NBA Nightly Point Spread Picks are the best in the industry and will continue through the NBA Finals in June of 2019. 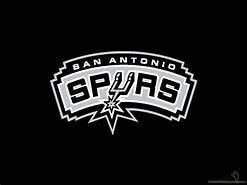 The (26-10) SU, (27-18-1) ATS San Antonio Spurs snapped a two-game losing streak by taking down Dallas 105-101 as 1 point road UNDERDOGS ATS on Wednesday, January 16th. San Antonio trailed by as 19 points in the third quarter but managed to tie the game in the fourth led by DeMar DeRozan who scored 17 points. The Spurs are now 8-14 on the road this season. OVER bettors have made profits in 11 of the Spurs last sixteen on the road. San Antonio is 6-2 AGAINST THE POINT SPREAD their last eight in Minnesota. The OVER is 6-1 San Antonio last seven on Friday’s. The Spurs are 2-3 ATS their last five on the road. 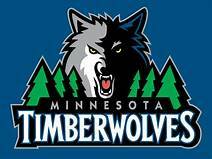 The (21-23) SU, (23-21) ATS Minnesota Timberwolves are coming off a 149-107 loss to Philadelphia as 6 point road UNDERDOGS ATS on Tuesday. Philadelphia put up 83 first half point which is inexcusable. Reality hasn’t followed expectations in the Twin Cities so far this season, but they’re 15-7 at home this season which includes a 38 point win over San Antonio on November 28th. Minnesota is 3-2 AGAINST THE SPREAD their last five at home. The OVER is 6-1 Minnesota last seven after an SU win. The OVER is 4-0 the last four between the teams. OVER bettors have cashed in 6 of Minnesota last eight at home. Friday’s game is 8:00 PM EST at Target Center in Minneapolis, Minnesota. The ESPN Network will be broadcasting. The Betting Line has San Antonio as 1′ point road UNDERDOGS ATS. The TOTAL is 226 points for Friday’s contest. The San Antonio Spurs organization has a knack for finding elite players to fit their system which was the case of former star Kawhi Leonard. Head Coach Gregg Popovich and general manager RC Buford are regarded as royalty in the NBA. Tonight will conclude a two-game road trip which began with an impressive come behind win in Dallas. 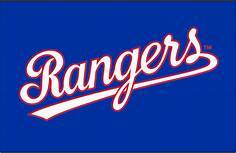 However, they’ve lost two consecutive in Minneapolis and hope to end the season series tonight on a high note. San Antonio averages (111.7) ppg which ranks 14th in the league on (48.7%) shooting from the field, 5th in the Association. The Spurs are the leagues top rated three-point shooting team which Popovich isn’t impressed with because he prefers easy shots around the basket. Thirteen-year veteran Rudy Gay was back in the lineup against Dallas after missing five games with a wrist injury and scored 14 points. The former University of Connecticut standout is only the third players since 2006 to record at least 15,000 points, 4,000 rebounds and 1,000 steals, Russell Westbrook and LeBron James are the others. San Antonio understands they’ll be facing a Timberwolves team that just fired their head coach but have the talent to compete with any team in the West. 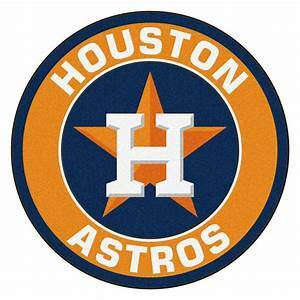 This Sports Handicapper believes tonight’s contest could turn into a defensive battle. Thirty-eight-year-old Ryan Saunders was named interim head coach after owner Glen Taylor decided to part ways with Tom Thibodeau. Saunders who’s 2-2 since taking over is more excited than his players tonight at the chance of going against the legendary Popovich. More than that the 70-year-old Popovich reached out to the Saunder family when his father Flip died of Cancer. The Timberwolves have faced obstacles all season which if they take as a learning experience could bring them together as a team. So far that hasn’t been the case which is why veterans Jeff Teague and Derrick Rose must set the tone to salvage the season. Former number-one overall draft picks Andrew Wiggins, and Karl Anthony Towns are showing signs of maturity on the court but must play with more aggression. The duo along with Rose was labeled as can’t miss prospects with being top picks in their respective draft classes. Minnesota hs too much talent to be, and the organization hopes a young enthusiast coach can right the ship. The best NBA Handicapper believes Minnesota is much better than the current eleventh seed they posses in the Western Conference; look for them to come out and get the win tonight at home. 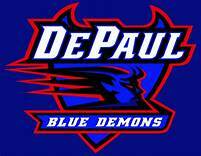 Butler Bulldogs @ DePaul Blue Demons NCAA Basketball Betting Preview for Wednesday. January 16, 2019. Written by College Basketball Betting Expert Analyst Greg Nelson. Charliessports.com produces it for Basketball Betting. Basketball Point Spread Picks are the best in the industry and will continue through the March Madness Finals in April of 2019. The (10-7) SU, (7-10) ATS Butler Bulldogs have dropped four of five, their most recent a 70-69 loss to Xavier as 1 point road UNDERDOGS ATS. Butler shot well from the field from the field and beyond the arc in both losses. It’ll be the Bulldogs third consecutive road game; they also lose at Seton Hall by a point. Butler is 1-3 SU on the road this season. UNDER bettors has made profits in six of the last seven between the teams. The OVER is 3-0 Butler last three vs. The Big East Conference. The Bulldogs are 2-6 their last eight against Big East opponents. Butler is 1-4 ATS their last five on the road. The (10-5) SU, (8-6-1) ATS DePaul Blue Demons have won two consecutive including a signature 79-71 upset over nationally ranked St.Johns as 6′ point road UNDERDOGS AGAINST THE SPREAD. DePaul grabbed nine more rebounds than St.Johns while shooting they shot (45%) from the field and (33%) from beyond the three-point line. 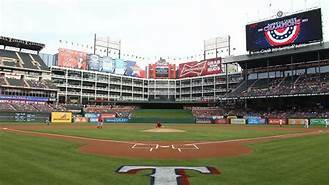 The Blue Demos are 6-5 ATS at home their last eleven. DePaul is 5-1 AGAINST THE POINT SPREAD their last six against Big East opposition. The UNDER is 6-1-1 DePaul last eight vs. Big East opponents. The Blue Demons are 1-2 ATS their last three at home. OVER bettors have made profits in 4 of DePaul last seven at home. Wednesday’s game is at 8:30 PM EST at Wintrust Arena in Chicago, Illinois. The FS-1 Television Network will be broadcasting. The Betting Line has DePaul as 2′ point home UNDERDOGS ATS. The TOTAL is 141′ points for Wednesday’s contest. Butler Bulldogs basketball coach LaVall Jordan has watched his team lose consecutive games by a total of two points. However, a trip to Chicago where they’ve won 18 straight could be just what they need moving forward. The Bulldogs haven’t lost in the Windy City since 2007, but since their affiliation with the Big East Conference, they haven’t won on the road since January 31, 2018. They score an average of (73.2) ppg on (45.3%) shooting from the field while allowing opponents (66.9) ppg on (44.3%) shooting. Leading scorer Kamar Baldwin (17.0) points per contest with Paul Jorgensen contributing with thirteen. The Bulldogs main problem is rebounding, they rank 320th in the nation, and that’s with two 6″11 players on the roster which tells me they must get more robust in the post. On the other hand, Depaul is the 50th ranked team in the nation at pulling down basketballs. Butler has a clear advantage with their ability to shoot beyond the three-point line (36.4%) while DePaul hits them at a (31.7%) rate. 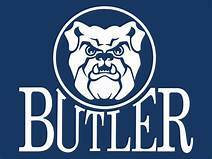 This Sports Handicapper believes for Butler to come away with a victory in tonight’s contest is to make a few three-point shots forcing them away from the basket. Bovada.Lv, list the Butler Bulldogs at 40/1 to win the 2019 Big East Conference Tournament. Dave Leitao has been on the bench at DePaul since the 2015 season and after Loyola Chicago made it to the NCAA March Madness Final Four a season ago he’s feeling pressure to win. Senior guard Max Strus (18.2) points per contest lead the scoring for a Blue Demon team that puts up (76.9) ppg while they allow opponents (70.1) points. The (39.2) rebounds per contest are 48th in College Basketball, and it’s where the Blue Demons must attack a weak interior Butler team. Straus (7.6) rpg, Forward Paul Reed (7.3) along with senior forward Femi Olujobi (4.7) are all elite at hitting the glass. The win at St.Johns was significant for the DePaul program, but the Red Storm were without their best player Shamorie Ponds. All-Big East teams have overall winning records; the Blue Demons are 2-2 in Conference play which places them in a tie with Georgetown and St.John’s. Leitao must also establish relationships with area high school coaches in talent-rich Chicago the way Ray Meyer did in the late 1970s to mid-’80s when Mark Aguirre, Terry Cummings, and Teddy Grubbs elected to stay home to play at the College level. DePaul has one player who comes from the highly touted public school, and that’s Devin Gage. The winning NCAA Basketball Handicappers at Charliessports.com are 13-2 when going on or against Depaul the past two years in Betting Predictions. Bovada.Lv, list the Depaul Blue Demons at +60/1 to win the 2019 Big East Conference Crown. Free Pick. Side & Total Points. Also Play Online Poker Plus Other Casino Games and enter some of the best Tournaments on the World Wide Web. New York Knicks @ Portland Trailblazers NBA Betting Betting Preview for Monday. January 7, 2019. Charliessports.com produces it for Basketball Betting. 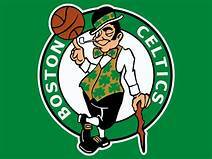 Nightly NBA Point Spread Picks are the best in the industry and will continue through the NBA Finals in June of 2019. The (10-29) SU, (17-21-1) ATS New York Knicks took down the LeBron James less Los Angeles Lakers on January 4th as 5′ point road UNDERDOGS ATS. It was the first time the Knicks won in their last eight overall. 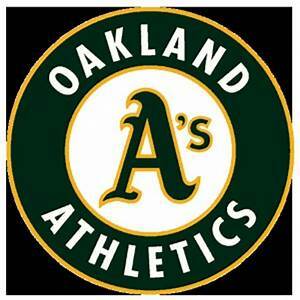 Tonight they’ll be playing their fifth road game which concludes in Oakland on the 8th of this month against Golden State. New York is 1-5 AGAINST THE SPREAD their last six in Portland. The UNDER is 5-1 the Knicks last six vs. Team with an SU winning record. The Knicks are 4-1 ATS their last five after an SU victory. 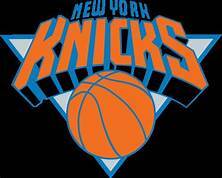 OVER bettors have made profits in 12 of, the Knicks last fourteen on two day’s rest. The (23-17) SU, (20-10) ATS Portland Trailblazers took down Houston on January 5th as 2 point home FAVORITES ATS as Center Jusuf Nurkic led them with 25 points. Portland is third in the Northwest division, 4′ games behind first-place Denver. 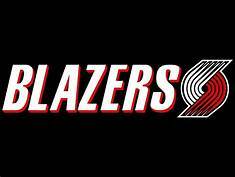 If the season ended today, the Trailblazers would have the seventh playoff seed in the Western Conference. UNDER bettors have cashed in four of the last five between the teams in Portland. The Trailblazers are 3-4 ATS their last seven at home. The favorite is 5-1 AGAINST THE POINT SPREAD the last six between the teams. UNDER bettors have cashed in Portland last five after an ATS cover. Monday’s game is 10:05 PM EST at Moda Center in Portland, Oregon. The Local Network will be broadcasting. The Betting Line has New York as 12 point road UNDERDOGS ATS. The TOTAL is 221′ points for Monday’s contest. New York Knicks head coach David Fizdale knew what to expect when he took the job in the largest city in America. The entire coaching staff was pleased with their performance in a 115-108 loss against Western Conference front-runners Denver which carried over in the win over the Lakers. The Knicks have momentum going for them but did two day’s off hurt them? Fizdale replaced starting Center Enes Kanter lineup with Luke Kornet which doesn’t still well with the former Thunder standout. However, he responded with a sixteen point performance against in Los Angeles. New York averages (107.8) points per contest which ranks 22nd in the NBA while allowing (115.8) to the opposition, 27th. Tim Hardaway Jr. (20.6) ppg leads the Knicks in scoring while point guard Emmanuel Mudiay dishes out (4.0) assists per game on an offense that ranks 29th overall. Fizdale is comfortable with Mudiay running the show and believes once he improves his jump shot he’ll be an All-Star. Rookies Kevin Knox (12.2) ppg and Allonzo Trier (10.3) have been a welcomed addition to the team. Noah Vonleh (8.7) rebounds per contest should be fired up against the team he played on from 2015-18. The NBA Handicappers at Charliessports have an unreal ATS record when going on or against the New York Knicks and were treating this one as a free play tonight. Bovada.Lv list the New York Knicks win total at 29′ games for 2018-19. The backcourt of Damian Lillard (26.4) points per game along with CJ McCollum (20.9) could be the most electric backcourts in the Western Conference. The duo combined for sixty points when the teams met back in November at Madison Square Garden, a 118-114 Portland victory. Head coach Terry Stotts will put both in position to duplicate the feat tonight against suspect Knicks defenders. Portland has won eight of the previous ten SU between the teams, and in the competitive West, they can’t afford to lose at home against a subpar team. Center Jusuf Nurkic (10.5) rebound per game also leads Portland in steals and shot blocks; he knows the Knicks Vonleh will go at him with everything he’s got tonight. Portland is the third-ranked rebounding team in the league grabbing (48.5), Power Forward Al-Farouq Aminu is just as active on the glass. The Trailblazer want to make it four of five wins tonight and to do that they can’t take New York lightly. Lillard and McCollum sometimes ask to do too much which Stotts understands which is why Nurkic is such a valuable asset in the post. Second-year Center/Power Forward Zack Collins is getting more minutes after showing he’s capable of making open shots and doesn’t mind getting physical down low. This Sports Handicapper believes Portland has too much at stake to lose at home to a far less talented team and they’ll expose New York on the perimeter. Free Pick. Portland-11 Points. Also Play Online Poker Plus Other Casino Games and enter some of the best Tournaments on the World Wide Web.